We have just returned from a mini break in Cala Millor and used Taxi PMI for the first time. The drivers on both journeys were courteous and polite making us feel very welcome. The vehicles were clean, well maintained and driven safely! Brilliant service and would highly recommend this company to anyone looking for a transfer in Palma. We will definitely be using them again! We booked Taxi PMI after checking reviews on Tripadvisor and wasn’t disappointed. The driver was very helpful and told us about the local area. We will definitely book this company again. Just great service – organised and flexible. Can’t recommend highly enough. I had to change my booking several times (cycling club), but nothing was a problem. Excellent stress free transfer. 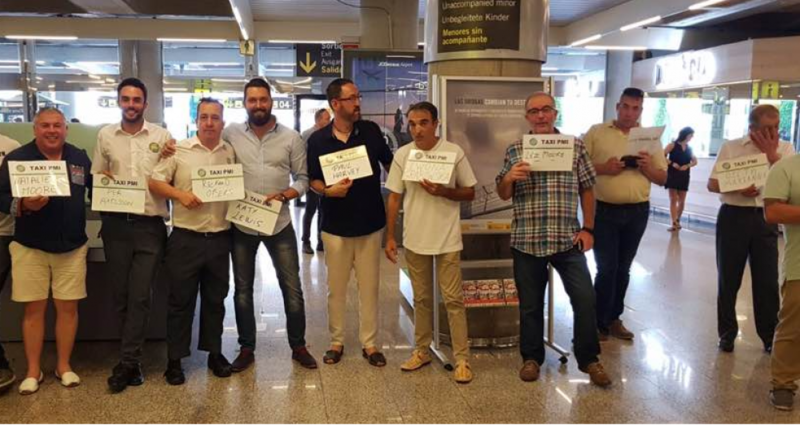 Al llegar al aeropuerto estaba el taxi esperando donde habían indicado, y de regreso la recogida en el hotel fue puntual. Buen servicio ofrecido por profesionales del taxi. Una buena opción a tener en cuenta, lo recomiendo. Excellent service, clean cars, friendly drivers and they were where they promised to be exactly on time. I could not fault them in any way. Very good service. Driver waiting for us as soon as we came out and the car was ready with a baby seat and booster seat. It was the same on the return journey. Would definatly use them again and can thoroughly reccommend them. Our plane got delayed so we arrived one or two hours late. When we met de driver we asked if we could go buy something to eat real quick since we were all very hungry, the driver took my luggage and told us that he would wait for us. He was very nice! Thank you! Used again for the second year running. On time, friendly and good value, waiting at airport to pick us up, helped with bags. Can’t fault them in any way. I did a lot of research into transfer companies in Majorca as I wanted to feel 100% confident they could transport my two young children safely. I have to admit, I was a little sceptical of them having so many 5 star reviews, but they were totally accurate. Faultless service, on time, friendly drivers, good quality car seats, exactly the right sizes that we requested. Would definitely use again and highly recommend.